I was rather exited when i received a very orangey invitation this week in my inbox. No other then Netflix asked me to join them at the Orange Is The New Black Season 3 Launch. So on Thursday i stepped foot into the very own London version of Litchfield Federal P. who just happen to hold some special Visiting Hours at The Tardis in Waterloo. 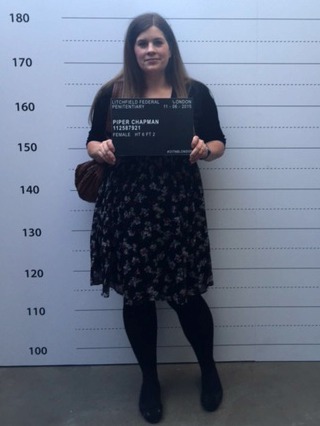 I was greeted by the lovely Netflix Team and after having my Mugshot taken i ventured to the Bar where a delicious and fruity Pimms was calling my name! Then I headed to the Benefit Make up Stand to get beautified for a very natural “Piper” look and after tucking into some delicious miniature prison food like prison porridge served in a sardine tin (which turned out to be rather nice risotto with veggies) and a beetroot lipstick. Now i wish i took some pictures of the gorgeous drinks and food as well as my make up after the Benefit Lady worked her magic on me but i was just too busy enjoying myself! 2 episodes and they certainly did deliver! 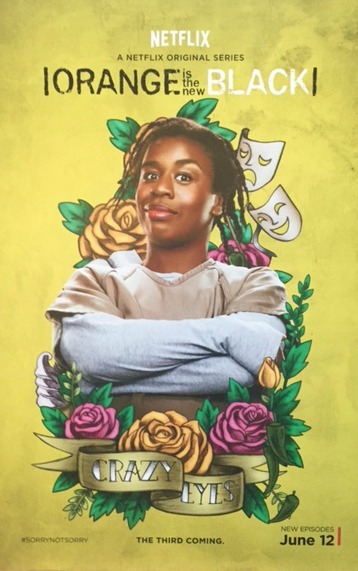 2 seasons and Nicky is one of my favourite characters. I won’t give you any spoilers but its brilliant and defiantly worth loosing sleep over because you cant stop after just 1 episode even though its way past midnight already, am i right?? On the way out we couldn’t help but have a group mugshot together! We make quite a good bunch of inmates don’t you think?? The only thing missing where those orange jumpsuits! 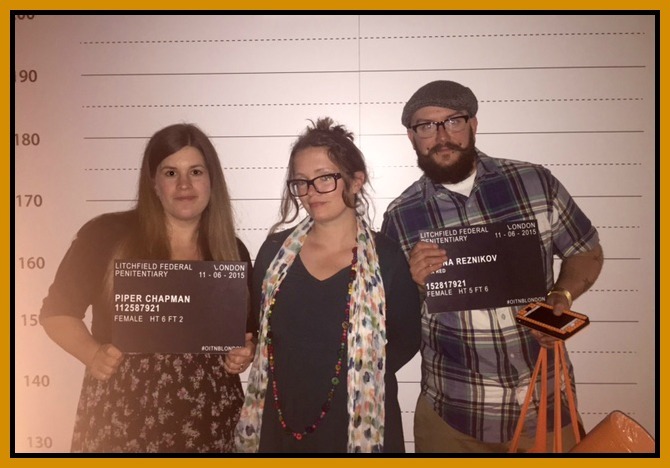 Moi, Lauren (Mummy Is A Gadget Geek) and Pauly (Gifts from the Pirates) who brought along his awesome OITNB Phone Cover which you HAVE to check out here! seconds after this picture was taken!! 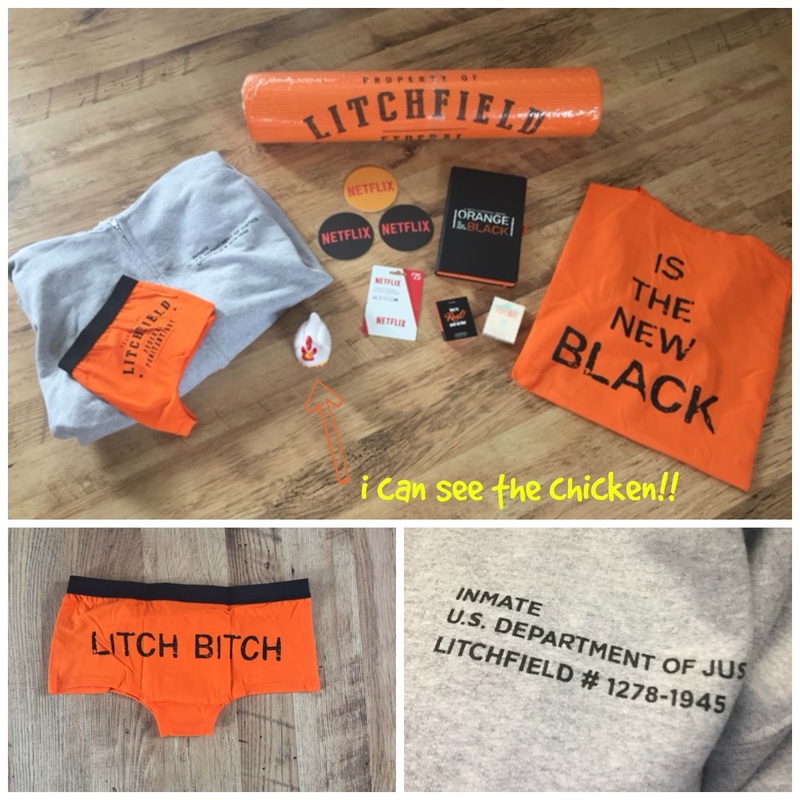 Litchfield Federal Penitentiary with Piper & Co.!